The new logo I saw on TPG definitely is different than the one shown here. In Greek mythology, Erato (/ˈɛrətoʊ/; Ancient Greek: Ἐρατώ) is one of the Greek Muses. The name would mean "desired" or "lovely", if derived from the same root as Eros, as Apollonius of Rhodes playfully suggested in the invocation to Erato that begins Book III of his Argonautica. Going classical in interpretation is kind of cool if they follow through. Think the new logo looks great actually and happy to hear Marriott is giving the brand its full attention. Agreed. The old logo looked dated from day one, IMO. I like it! And it's nice to hear there is genuine meaning behind the logo, it's history and evolution. Um... does Enhancing the Digital Experience mean we might get a working website? Well, it's 2019.. I'm not an SPG loyalist, but I didn't notice any Sheraton buzz in those years. I have a feeling that $100M would have been much better spent making loans or incentives to property owners to improve their properties. 8. Innovate the Sheraton Guest Experience. Continuously. 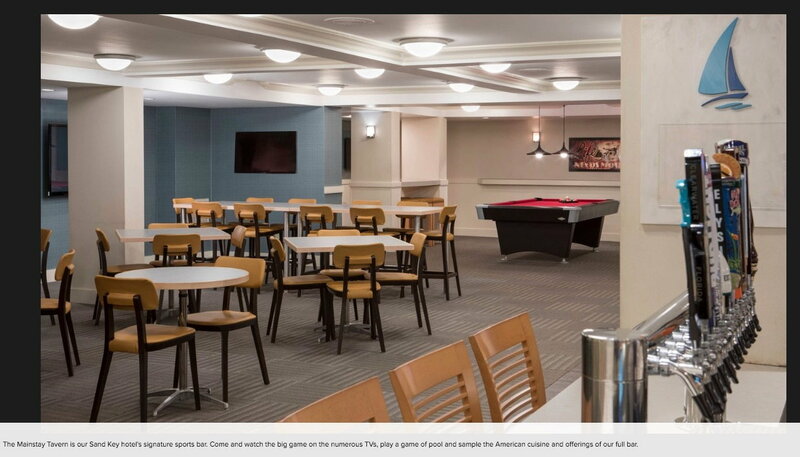 Does this mean more (not-so-)Fresh Bites and soap bottles bolted to the wall like a Motel 6? Does it bother anyone else that remodeling the hotels is #9 on the priority list? How about fixing the 1970s dogs you have in inventory? 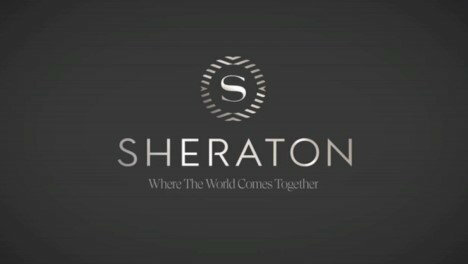 One of the biggest problems with the Sheraton brand is the inconsistency. Sometimes the only solution for an aging property is the wrecking ball. The Sheraton Sand Key is a classic example of this. Older-than-dirt hotel. They've tried to do a lot with the property, but it's just lots of lipstick on this pig. Total waste of a beautiful piece of land where a modern hotel & conference center could be built. There's even enough land to build a new hotel while keeping the existing one going. The now-former logo was new in 2015. To be fair, Sheraton 2020 was developed under legacy Starwood, which no longer exists. Marriott to their credit de-flagged 10,000-plus rooms from the Sheraton brand in 2017 and 2018 because owners of the hotels wouldn't (or couldn't) invest in their dilapidated property. I'd like to just have decent food-and-beverage at a Sheraton property. I can't remember a single Sheraton that I've ever stayed at with a good restaurant. It doesn't need a Michelin-rated restaurant, either. Just decent, quality food at fair prices. 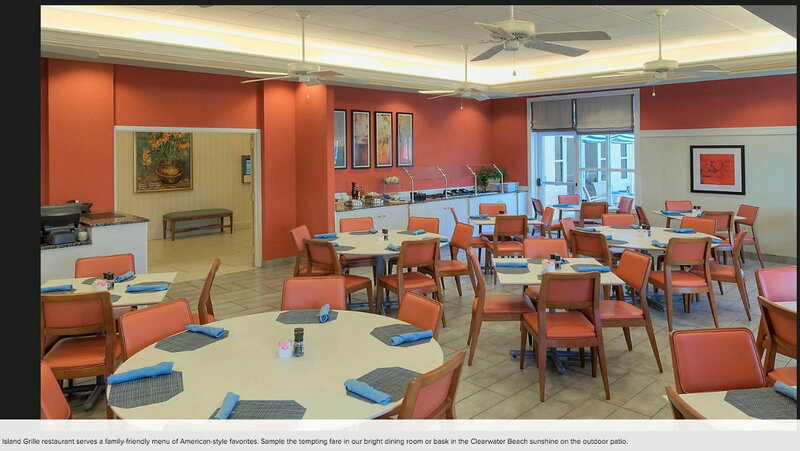 Looks all fancy, except you know they never have that level of service when the buffet is setup in the back. The new logo looks more modern, but still reminds me of the old one. Undoubtedly this is exactly what the designer was aiming at. Starriott (and their graphic design company) would be very happy to see this reaction. I can't remember a single Sheraton that I've ever stayed at with a good restaurant. It doesn't need a Michelin-rated restaurant, either. Just decent, quality food at fair prices. Sheraton Waikiki: Rumfire makes great cocktails and has some innovative appetizers, and of course one of the worlds best views. Sheraton San Gabriel Valley, CA: EST Prime Steakhouse is pretty darn good. Sheraton Schiphol Airport: Runway cafe has great beers and decent burgers and stays open late. 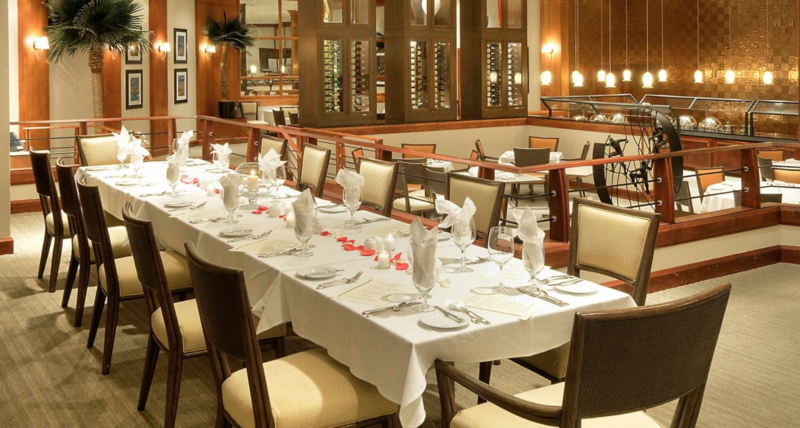 Sheraton Swan or Dolphin/Orlando: whichever is the Sheraton has NY's El Mulino which was a darn good business dinner. Sheraton Libertador Buenos Aires: we had a very reasonable and good quality meal here when it was raining hard and my group didn't want to go far. Several of of the properties you named are only good for appetizers, according to what you said. Regardless, a half-dozen or even a dozen decent restaurants out of the hundreds of hotels is nothing to defend. Most domestic Sheratons I've stayed at over the years have been in desperate need of updating/major renovations. SPG really let Sheraton owners get away with murder in past years. Holysmokes yeah I have not stayed in a Sheraton in years due to how bad it is. Honestly even a Fairfield Inn or Residence Inn was better. I've stayed at countless Sheratons and I haven't noticed that their restaurants are any worse than other similar brands' restaurants. As far as itsaboutthejourney's list, I used to fly with a Captain to HNL a lot that LOVED the Rumfire and agree with his assessment that the view and appetizers there were fantastic. I'm not sure if I ever ate a meal there, as the appetizers and beers were so good while watching the sun set. While a lot of the Sheratons I've stayed at in the past have been dated, I'll take them over a Fairfield Inn (not a fan of that brand) or Residence Inn (I used to like RIs but the last several I've stayed at have gone cheap on food/drink). Nice logo, but I'll always think of this as a downmarket brand. Hotels that couldn't make the cut as Marriotts, Westins, or Renaissances. Sort of like Doubletree is to Hilton. I assume its main purpose is to serve as a landing place within the portfolio for subpar properties. Occasionally, I'm in a very good Sheraton and I can't help but think "they should reflag this to something better."